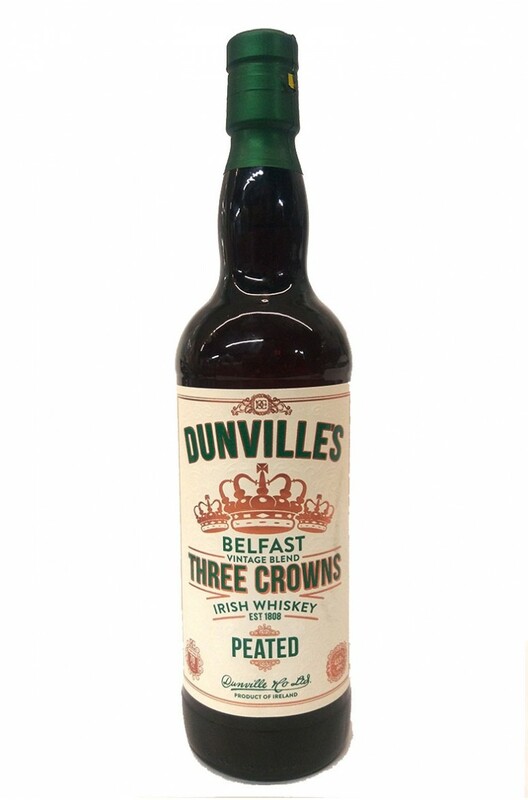 We're delighted to announce the arrival of Dunville’s Three Crowns Peated. Comprised of a Single Grain Whiskey, a 10 Year Old Single Malt & a 15 Year Old Oloroso Sherry finished Single Malt which have been married together in a peated cask. A rare, delicately smoked Irish whiskey. Stunning! Taste Slight butterscotch and milk chocolate to begin, blossoming into dominant peat smoke with tongue-tingling spices, a dash of salt and hints of raisins. Nose Vanilla-led, lightly smoky and earthy. White grapes, stewed pear, honey and cinnamon. Jim Murray Whiskey Bible 94.5 Points, 2018 Edition.